Yesterday Amazon and Twitter announced an awesome new collaboration that lets us shop even easier. According to Geek Sugar, now you can reply to any tweet that includes an Amazon product link with #AmazonCart to (you guessed it), add that item to your shopping cart. Visit the site, and ta-da! Hassle-free checkout. If you’re shopping on your phone- don’t hassle with digging through your bag, finding your wallet, and retrieving your credit card. Suit up your smartphone with a military-grade protective CandyShell Card to store up to 3 cards and cash in a handy and secure storage slot. Also available for Samsung Galaxy S4, iPhone 4s/4, and iPhone 5c. Shopping made even simpler. 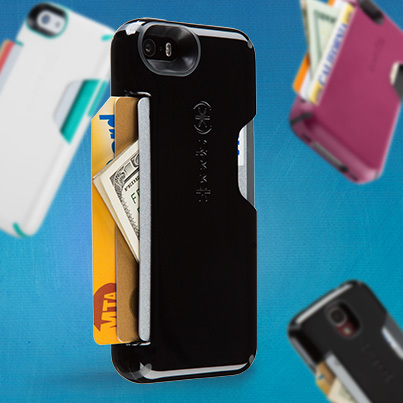 Check out Speck on Amazon and tweet us @speckproducts with #AmazonCart to shop mighty slim protection with ease!